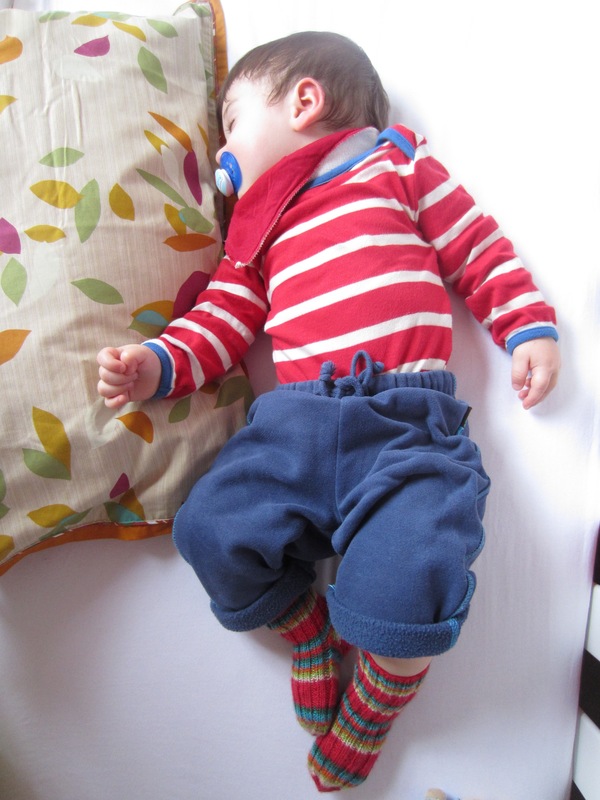 My good friend Kelly’s little boy Myron needed some warm, woollen socks in January and I made him a lovely red pair. I made sure that they were a little bit longer so that they don’t slip off as easily. They’re similar to the pair I made for Luke actually, just a different colour. 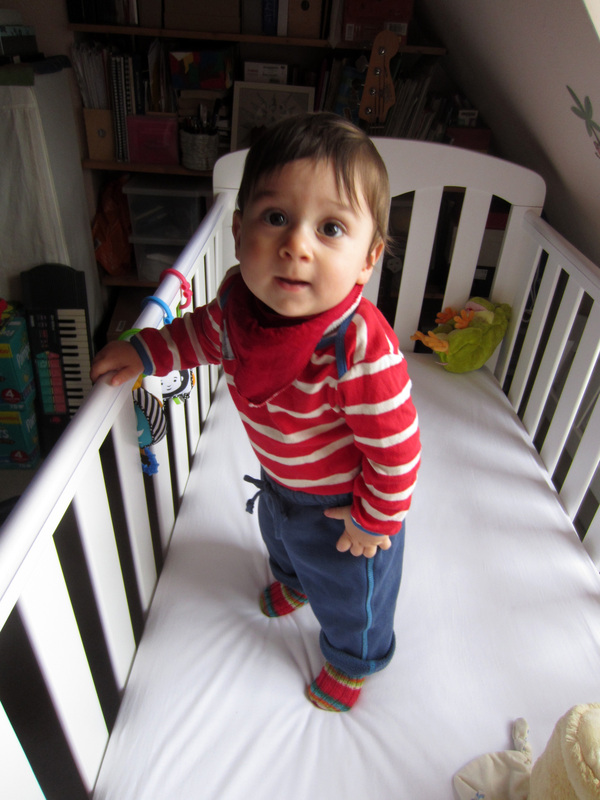 And don’t they just look brilliant on Myron? 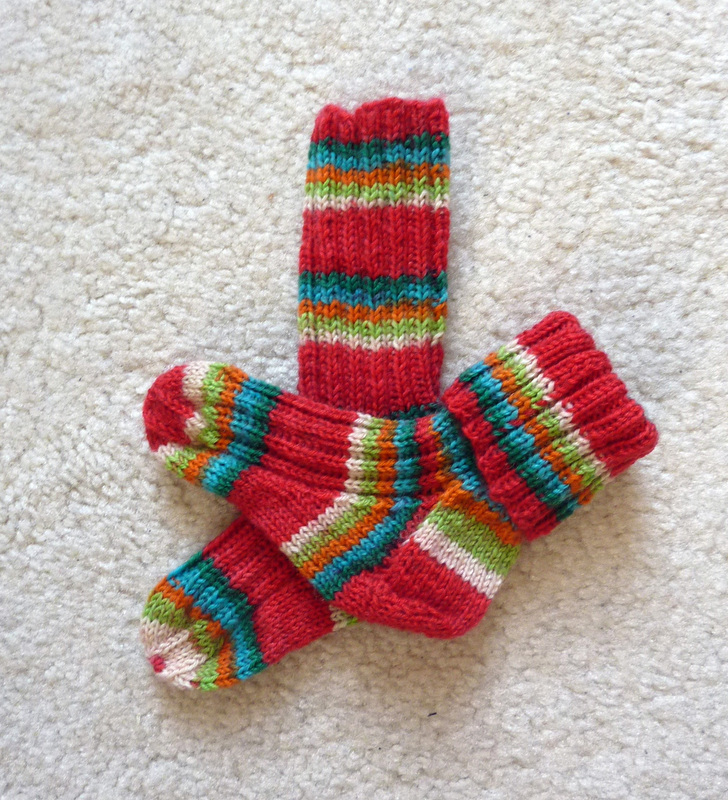 Oh those socks are so nice ….. colourful and bright ….. just great for a cold winters day. As I’ve said before I think you are very clever to knit socks. I wish I could and I am going to give it a try. One day I will make a pair of socks and I’ll put a photo up just for you to see Anna. Your knitting is gorgeous and so clever. 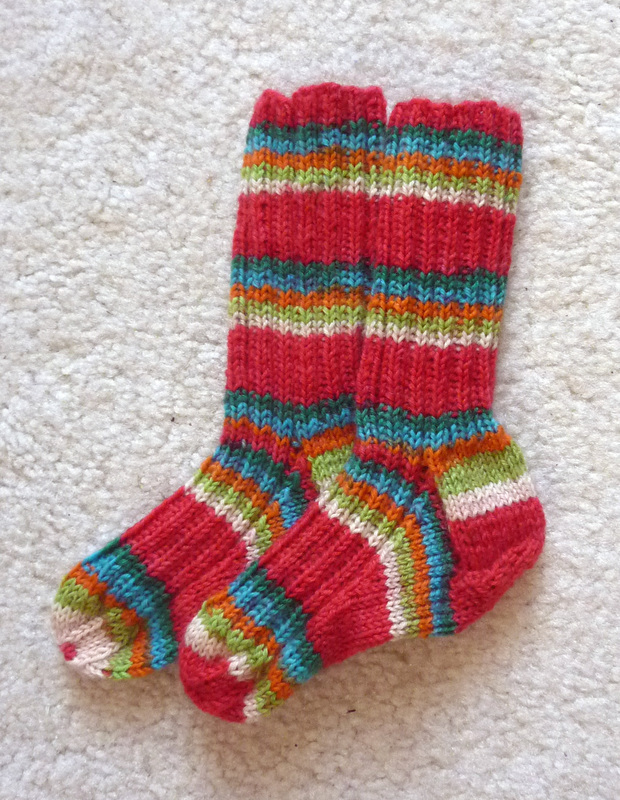 i love these – the yarn is so bright and cheery! perfect for a little guy’s socks!